Redevelopment of former automobile dealership site on 1.6 acres at the intersection of NYS Routes 45 and 59. The site is in a heavily developed commercial district. 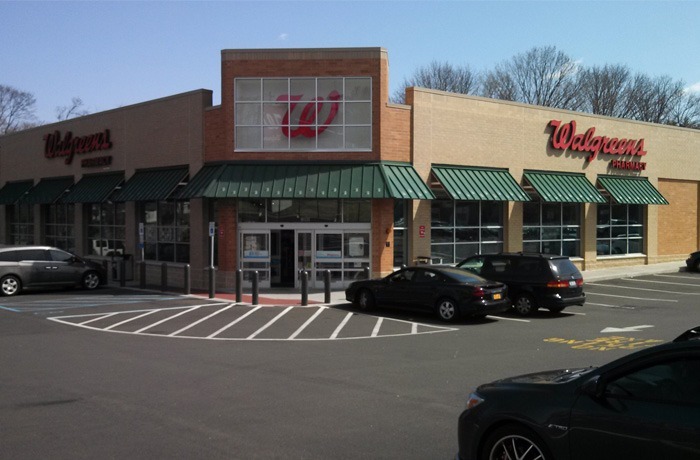 The new Walgreens store is the first new national store to be opened in the Village of Spring Valley in decades (with the exception of those in the Spring Valley Marketplace shopping center). The 15,625sf store includes a Take Care Clinic (sm), Walgreens’ service mark for in-store basic medical treatment centers. Approvals required included: zone change for a portion of the site, variances for a pylon sign, parking waiver, and site plan approval.